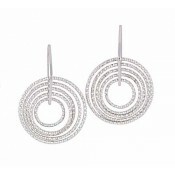 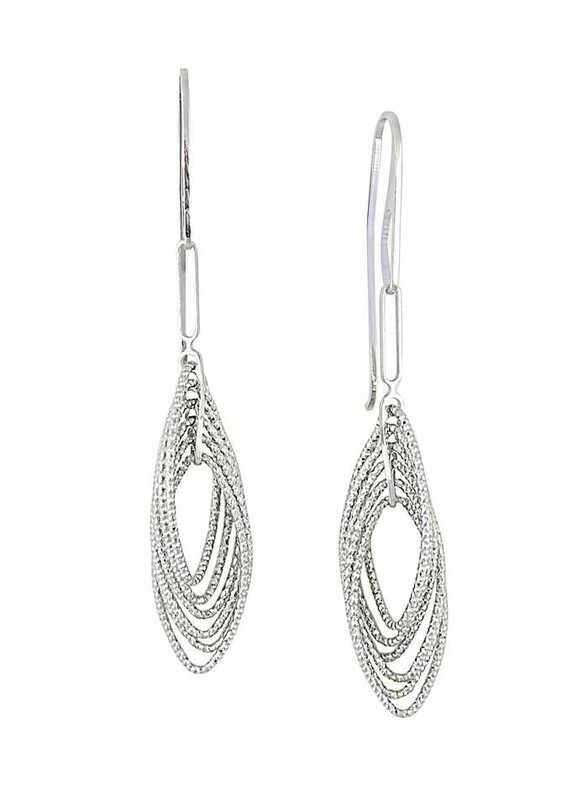 These glamorous sterling silver drop earrings have the potential to finish off any outfit. 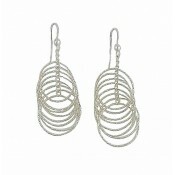 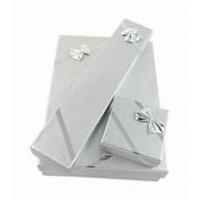 Each one features a multi-layer stack of interlocked long oval charms with a rope-like textured finish. 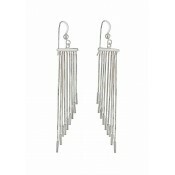 They slide through the ear with hook fittings that offer all-day comfort and streamlined style for every single wear.